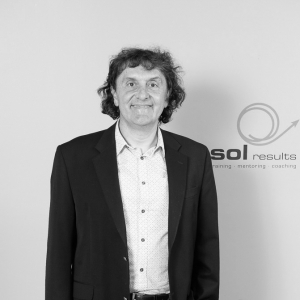 The SOL Results Master Coaches have helped all kinds of people achieve more professionally and personally through one-on-one coaching and mentoring. If you’re serious about success, a good coach will help you reach your goals faster and easier. Stan is considered to be one’s “ultimate” life and business coach. Peter will inspire you to create everlasting inspirational results in your life. will inspire you to reach your highest potential. John’s mission is to inspire millions of people worldwide to live a life of joy, great health and financial abundance. Stan Kontos is a South Australian business leader, author, mentor, coach and inspirational speaker who enjoys sharing wisdom on living successfully, being positive, and achieving a better balanced life. His passion is to expand his personal, professional and spiritual development and is an accredited NLP Trainer. Stan is an entrepreneur with various businesses around Australia. Stan focuses on continuous self-improvement of himself and of others – his desire is to expand people’s lives by expanding their mind and helping them grow their entrepreneurial spirit and then to give back to humanity. Stan is considered one’s ultimate life & business coach. Entrepreneur, NLP Master Practitioner, Bachelor Degree in Pharmacy, Business Owner, Coach, Mentor and Public Speaker. Peter specialises in Health optimization, Vitality and Energy sustainability, Life Balance, Business Mentoring and Culture Development. A successful entrepreneur, Peter serves as Director and Co-founder of several privately held companies in industries as diverse as health, self development, mentoring, coaching, business services, and consumer based retail. While diverse in characterization, all companies are growing and adding value to people’s lives by improving ones’ life experience. Peter’s passion with health gives people the chance to apply easy strategies and techniques to take control of their health and achieve Energy and Vitality as part of their life. Culture development is another passion and is a pinnacle of success in today’s business environment; Peter is a master at achieving the ultimate culture in your business by mentoring and coaching key personnel and taking them and your business to the next level. Peter will inspire you to create everlasting inspirational results in your life, he has also coached many people to resolve phobia and addictions and return balance and harmony to their life. Peter also is a great contributor for various charities and events through his personal and business interests. He is also a family man and a proud father blessed with 2 daughters, Peter loves life and people. 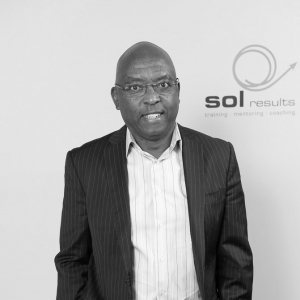 Manuel is a Director and co-Founder of SA’s leading personal and professional development company, SOL Results. He is an Internationally Accredited Trainer and Master Coach in NLP, as well as a graduate of the prestigious Leadership Academy in San Diego USA. He is a highly sought after Success Coach, improving his client’s performance in all areas of their life, from their Career and Finances to their Relationships and Health. He is passionate about congruently helping clients achieving Success, Balance and Fulfillment in Life. Past clients have ranged from pHDs in Psychology, Doctors, CEOs, CFOs, General Managers, Self –employed business people and Working professionals. Manuel began his career as a degree qualified Scientist, where he excelled as an Account Sales Manager for an international U.S.A Fortune 500 corporation. Manuel is happily married with 2 children. His other passion is Property Investing and Property Development. Manuel’s Success Coaching program along with his business and corporate experience will inspire you to reach your highest potential. John is a Speaker, Peak Performance and Turnaround Coach, an accredited NLP Master Practitioner and a Hydration Specialist. As a speaker/trainer he has an endearing and charismatic style that captures his audience’s attention and hearts. He is a business and personal development consultant, a peak performance and turn around coach, a dynamic and compelling speaker whose passion is to inspire, motivate and help people to personally enhance and enrich the quality of their life, physically, mentally and financially. • Reverse degenerative diseases such as arthritis, diabetes, eczema, psoriasis, high blood pressure, acid reflux, gout, fibromyalgia, food intolerances, allergies, asthma, back pains, some types of cancer, crohn’s disease, glaucoma, to mention but a few. • Slow the ageing process, more energy and enhanced wellbeing. • In Sports: Improved sports performance, heightened focus, higher levels of endurance, quick recovery from sporting activities and injuries. 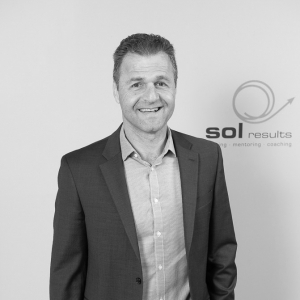 A qualified accountant of over 15 years, John has had extensive experience and understanding of business and managing large corporations, having worked in both small businesses and large multinational organisations. This experience can assist you in understanding strategies to apply in your own business and at work. He has successfully coached and mentored high profile business owners, executives, doctors, surgeons and sports personalities. Some past clients include Kimberly Clarke International, Australia Post, Crown Equipment, Motorola , Star Pharmacy Group, BAE Systems to name but a few. • Numerous Rotary Clubs around the world. Whether it is the thought of something you want or something you do not want, your consistent attention to it, invites it into your experience, it becomes your reality. Create the reality you want. DISCOVER THE POWER OF PROFESSIONAL COACHING FOR YOURSELF! 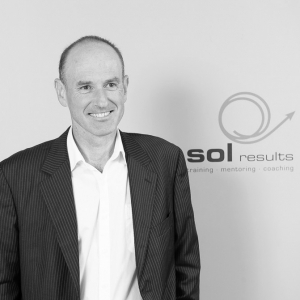 Sol Results specialises in training, mentoring and coaching for improved results in the areas of business and entrepreneurship, wealth creation and investment, health and wellness, success and fulfilment. Keep up to date with SOL Results’ latest news, tips and inspiring events by registering your details with us!